Parents can't watch their kids 24/7 and we are worried that our children might see unwanted video clips, images even articles that they should not see. Well, we don't have to worry about it because I'm sharing you the solution to this problem. Google.com is the most popular and used search engine site worldwide and it's been pretty convenient to all of the people looking for places, food recipes, answers, tutorials and everything under the sun. However, not all of the result searched on the internet are good for our kids. Kiddle, powered by Google safe search but not owned by them, features an outer space theme, complete with planets off in the distance, along with a robotic alien under the search bar that lives on the crater-filled planet seen in the forefront. 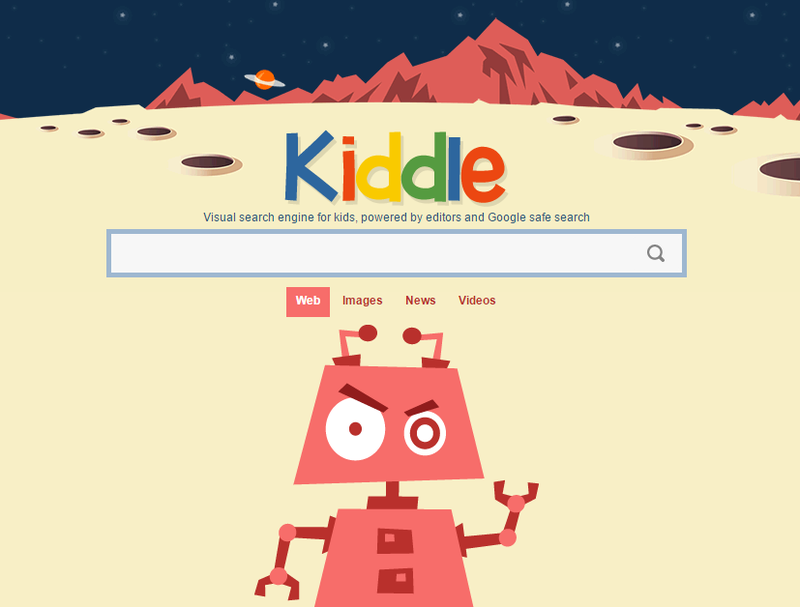 According to Techtimes, Kiddle is the visual search engine for kids that is powered by editors and Google safe search, allows kids to do a Web, images, news or video search. Once a child enters a query into the search bar, Kiddle will pull up a list of related links. The first one to three results will include safe sites and pages that are written specifically for kids that are handpicked and checked by the editors. The next four to seven results will feature sites that include content that is written in simple language so that young children are able to comprehend what they are researching. These too are handpicked and checked by the editors. Results eight and onward include sites written for adults that are still filtered by Google safe search but are a bit harder for children to comprehend. Since Kiddle results are either handpicked and checked by their editors or filtered by Google safe search, you know you get kid-oriented results without any explicit content. In case some bad words are present in a search query, the guard robot will block the search. I tried it on myself and I typed twerk in the search box and it shows an error or no result at all. Pretty good job right? Another site that is also popular is Youtube and with this latest application, you don't have to worry if your child accidentally watched men fighting or people saying curse/bad words. Youtube Kids is an application available in Android and IOS devices, complete with a simplified design, a curated selection of kid-safe content, parental controls, and more. 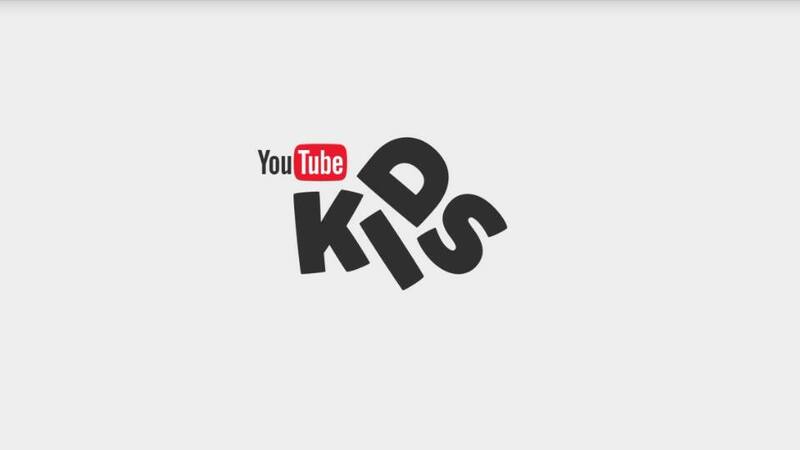 While the company declined to share how many videos were available in the app at launch, Ben-Yair would say that there are “thousands” of channels on YouTube Kids. These channels include a mix between content from well-known children’s entertainment brands like DreamWorks TV, Jim Henson TV, Mother Goose Club, Talking Tom and Friends, National Geographic Kids, Reading Rainbow, and Thomas the Tank Engine, for example, and other shows from YouTubers like Vlogbrothers and Stampylonghead. Google says that the app includes a “brighter and bigger interface” that’s meant to work better for “small thumbs and pudgy fingers.” That is, the app has big buttons kids tap on to reach dedicated sections in the app, including “Shows,” “Music,” “Learning,” and “Explore,” as indicated by icons of a play button, radio, lightbulb and binoculars, respectively. Watch the video below. Know more how to use this application from their parental guide. I'm sure a lot of parents will love this two new site and application for our kids. No more worries if your child wants to use the tablet, computer or your cellphone. Thanks to the people who develop this for our children to have a better learning while enjoying the technology. Very nice... Thanks for sharing mommy! I will explore and share this with my fellow moms. Wow thanks for this post, i wasn't aware that there is youtube kids... Been worryin about other youtube channels that are not for kids but sometimes hiding behind disney princess costumes, you know what i mean? Thank you for sharing the ins and outs of the Kiddle. I heard about it but I haven't had time to really understand what it does and how it protects kids! This is great!Limitations for kids are very essential in the e-world. I've heard about this.I think it's great news for parents.We need all the help we can get in protecting our child. Had heard about Kiddle and tried it toom..Youube kids is new to me..thanks for the update!! I also hope facebook will also do something to make it child-friendly. There are videos and photo (they same it's spam) that are very vulgar. This is a great post esp for the mamas out there! With technology growing and growing it's definitely something to watch for. I mean there are 3 years who know how to use an iPad better than me! Hahaha. Really helpful! I'm sharing this to my mommy friends :) Thank you! I've read about Kiddle. It's good that internet is now making these apps and options that make internet surfing safer for children. Very interesting, I think it is important for children to be protected by the "wonders" of the internet, as in these days they get access to computers/smartphones from a very young age. And it is important to protect their innocence for as long as you can. Great informative post ! I just wrote a post about the safety issues , I think parents can't be attent enough when it comes to kids using the internet . I will share this post to my FB page , on top of this I HAVE yo say , I love your site ! Very nice desingned ! Thanks for sharing . Thanks for sharing this! I will look into this. This would be a big help to parents like me. I didn't know there is such as a thing as Google Kiddie and Youtube for kids. I really think that's really nice of them to think of creating sites that are child-friendly. This is very helpful ! Since this is a big problem for parents. Very good idea to post this. Wow! This so cool. Children now a day are so exposed with social media. This is very helpful for parents to ensure that their kids only view what is intended for them. Thanks for sharing! I love that such big online companies are making things safer and easier for kids to utilize! Great informative article!